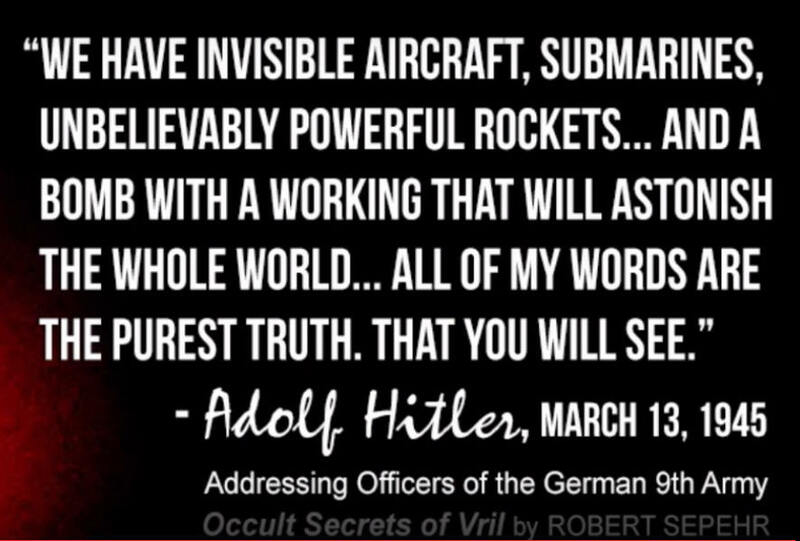 [vid] William Tompkins - Secrets Space Program William Tompkins served with Navy Intelligence from 1942-1945 directly participating in intelligence debriefings of Navy agents embedded within Nazi (卐) Germany most secret aerospace facilities. This is a five minute clip of Richard Sauder discussing advanced designs and technologies used by the Germans during the Second World War, with obvious implications for what is going on today. I once saw a UFO tumble and it also spewed out a dark cloud of apparent deadly orgone radiation, which disappeared really fast. I was driving alone past the Phoenix airport at the time (2003) and watched this thing for several seconds. This one was obviously a piloted craft. Carol's impression, when I next saw her, was that it was a B-Sirian one. The first time Carol and I did any gifting around Las Vegas we watched a silver disc craft spew out the same sort of cloud and that time, the cloud seemed to shoot down in the direction of some orgonite we'd just dropped near the underground air force base. Al Bielek told us that B-Sirians are humanoid, cannibals, and buy a lot of 'meat' from the US Gov't, who took over the trade from the Nazis after the war. He also told us that the Galactic Federation is just a trade organization, sort of like the local Chamber of Commerce, and that the more benevolent planets have nothing to do with it. [2014 Aug EW Forum] UFOs and Orgone Energy aiming our orgonite devices and Succor Punches at spaceships will either neutralize their power sources and terrify the occupants or will make the occupants feel really good and not affect the ships in a negative way. I think that nuclear fission or fusion power sources, which perhaps need DOR to operate, are the most vulnerable and that the free energy power sources are probably assisted by our thrown orgone energy����.. About half of the ships we saw were good ones, several were 'indifferent' and a few were hostile. Most of the hostile ones were from the air force, evidently. 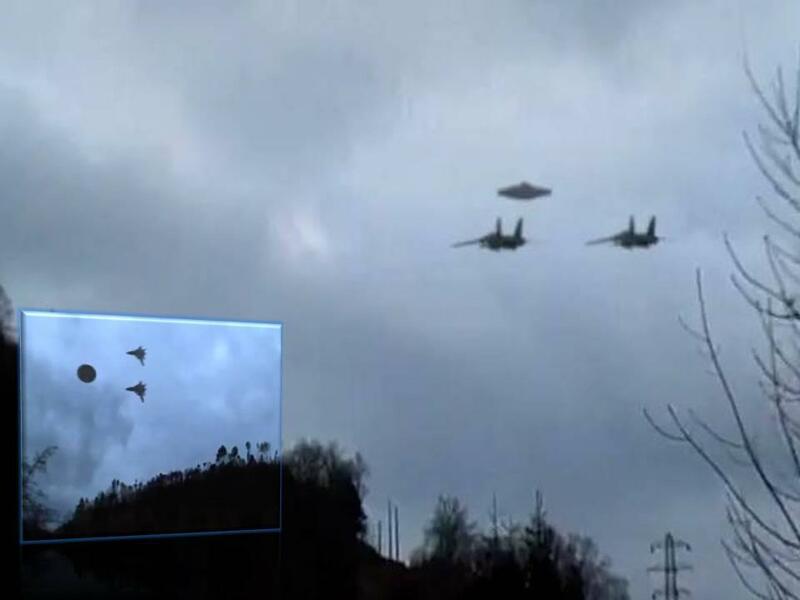 The sewer rat air force (evil twin of the CIA) mostly has little flying saucers, like the Germans developed a long time ago, and bigger, more menacing-looking triangle craft��. The good guys' ships are marvelous and I want everyone to see them. Carol and I get the same feeling, watching them, as we do when we see Sylphs overhead. 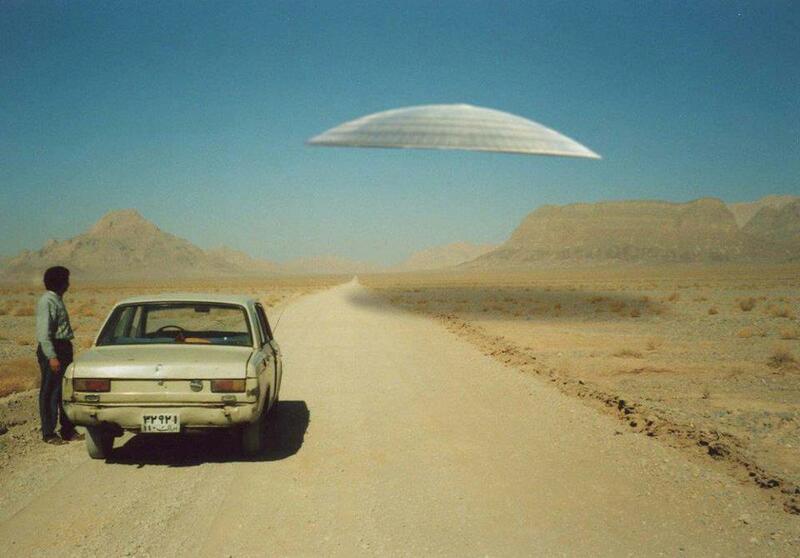 Most of the people who talk about UFOs, especially online, are scaremongers and disinformants, unfortunately. Al Bielek has stated that the Galactic Federation, by the way, is just a trade organization and that the 'nicer' alien species don't bother with it but that the draconians, various reptile offworlders and the humanoid B-Sirians, who are probably best represented as consultants, new underground populations and facility managers for the corporate world order, do belong to it����. Carol feels sure that the Andromedans are the ones who provided the idea of orgonite to humanity as an instrument to regain our freedom from the ancient rule of parasites. I love the way orgonite's energy typically overpowers two-legged parasites. These corporate parasites thrive on stealing energy and with orgonite we simply drown them with it. ........The only time we aimed an orgonite cloudbuster at a good ship and had an unpleasant experience was in Utah, the afternoon of the day when I hid towerbusters all around the main Mormon Temple in the wee hours. That was in May, 2001. In an otherwise cloudless sky a little, low cumulus was traveling parallel with us, south along the highway for several hours so I stopped the Zapporium (our camper/home), got out and aimed the CB at it. The cloud quickly disappeaered, then reappeared nearby. By then, Carol, who was following in the car, stopped, got out and excitedly told me to stop. She said I was really making them mad. I had briefly seen a shiny, cigar-shaped spaceship rise up nearby in the middle of Salt Lake City, right before I got to the temple to do the deed and this was apparently the one that was following us. 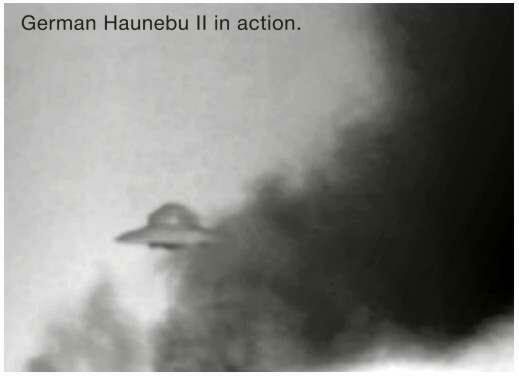 ...........When Carol and I were in Namibia in 2001 we observed that aiming a Succor Punch at a nasty UFO had the same effect and in the same amount of time as aiming an orgonite cloudbuster at it. I think anyone can see UFOs in the sky on most nights. Remember that satellites can't reflect light when the sun's on the opposite side of the world, so don't explain the moving 'stars' away as satellites, okay? We don't need to play devil's advocate. The devil (parasitic order) has plenty of their own advocates and in fact they're just about chocking the internet right now. 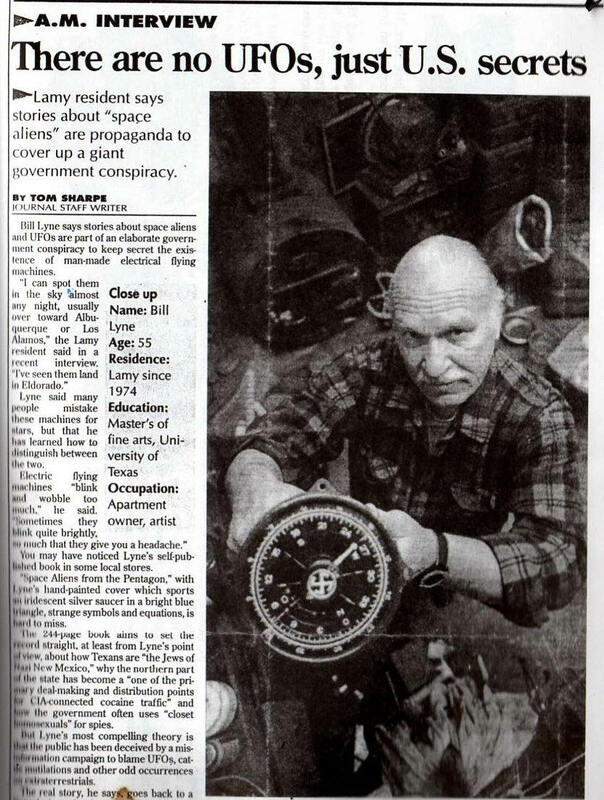 In 1985, right after I returned from Tonga, where I'd first been exposed to legitimate, documented conspiracy literature, I did some work for an old sign painter in St Louis who screened me about my belief in UFOs, then when he saw that I was receptive to new information, told me that in the late 1950s he was in a club that collected and examined evidence of UFOs. An aerospace engineer at nearby McDonnel Douglas (makers of the F4 Phantom and other weapons) was active in the club and a personal friend of his. When the engineer got and shared evidence that some of the flying saucers were manmade there was an uproar and he was shouted down by the faction who insisted that all spacecraft came from other planets, then the club divided, the engineer was transferred to another state and my friend and his son were accosted by a flying saucer. It happened when they were on the roof, observing one of the planets through a telescope. The thing hovered a hundred feet or so, right above them, for a minute or so, then sped off. He abandoned the club, which had become a pseudomystical babblefest, anyway. Note how some silly UFOlogists insist that spacemen propound Alice Bailey's ideology package, for instance. 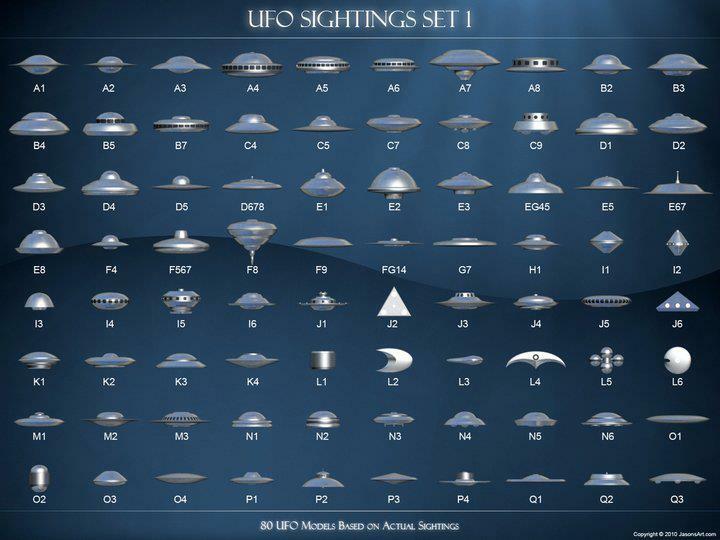 Jim Marrs wrote a comprehensive book on the history of the CIA's and the US Air Force's collaborative effort, since their inception in 1947, to dissuade the public from believing in UFOs. It's a good read for anyone, in spite of the fact that he seems to have an incidental crush on one fellow among the stable of Theosophy/masonic charismatic gurus, or did at the time. ..........A German research journalist covered the period between the 1930s to teh late 1940s, by which time the silver discs were evidently being mass produced in an underground factory on the Gold Coastt, north of Vancouver, BC. One of the projects that were started in Germany and finished up with 'captured' scientists, evidently including Werner von Braun. It's really useful to read several authors' work about any subject, of course, if one intends to get a more balanced view of the subject. 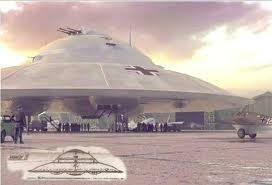 A friend said, he would never forget the sight of the alien looking TR-3B based at Papoose. The pitch black, triangular shaped TR-3B was rarely mentioned--and then, only in hushed whispers--at the Groom Lake facility where he worked. The craft had flown over the Groom Lake runway in complete silence and magically stopped above Area S-4. It huv-ered silently in the same position, for some 10 minutes, before gently settling vertically to the tarmac. At times a corona of silver blue light glowed around the circumference of the massive TR-3B. The operational model is 600 feet across. 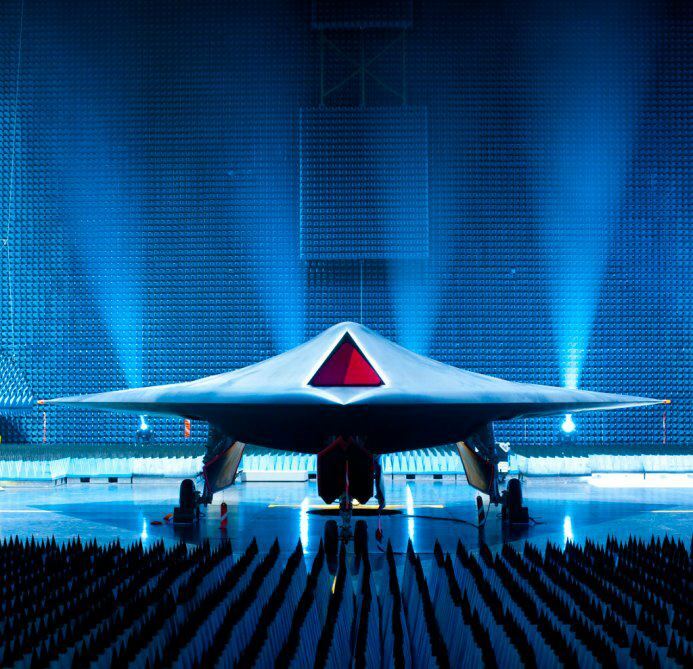 The TR-3B vehicle's outer coating is reactive to electrical Radar stimulation and can change reflectiveness, radar absorptiveness, and color. This polymer skin, when used in conjunction with the TR-3Bs Electronic Counter Measures and, ECCM, can make the vehicle look like a small aircraft, or a flying cylinder--or even trick radar receivers into falsely detecting a variety of aircraft, no aircraft, or several aircraft at various locations. 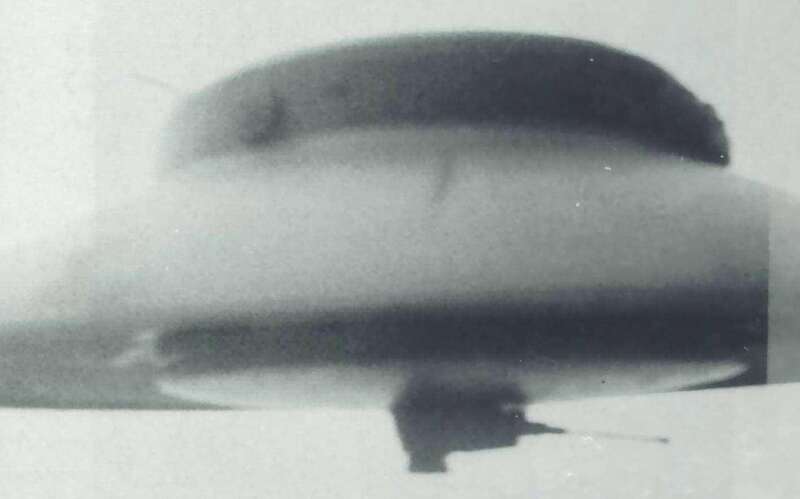 A circular, plasma filled accelerator ring called the Magnetic Field Disrupter, surrounds the rotatable crew compartment and is far ahead of any imaginable technology. Sandia and Livermore laboratories developed the reverse engineered MFD technology. The government will go to any lengths to protect this technology. The plasma, mercury based, is pressurized at 250,000 atmospheres at a temperature of 150 degrees Kelvin and accelerated to 50,000 rpm to create a super-conductive plasma with the resulting gravity disruption. The MFD generates a magnetic vortex field, which disrupts or neutralizes the effects of gravity on mass within proximity, by 89 percent. Do not misunderstand. This is not antigravity. Anti-gravity provides a repulsive force that can be used for propulsion. The MFD creates a disruption of the Earth's gravitational field upon the mass within the circular accelerator. The mass of the circular accelerator and all mass within the accelerator, such as the crew capsule, avionics, MFD systems, fuels, crew environmental systems, and the nuclear reactor, are reduced by 89%. This causes the effect of making the vehicle extremely light and able to outperform and outmaneuver any craft yet constructed--except, of course, those UFOs we did not build. 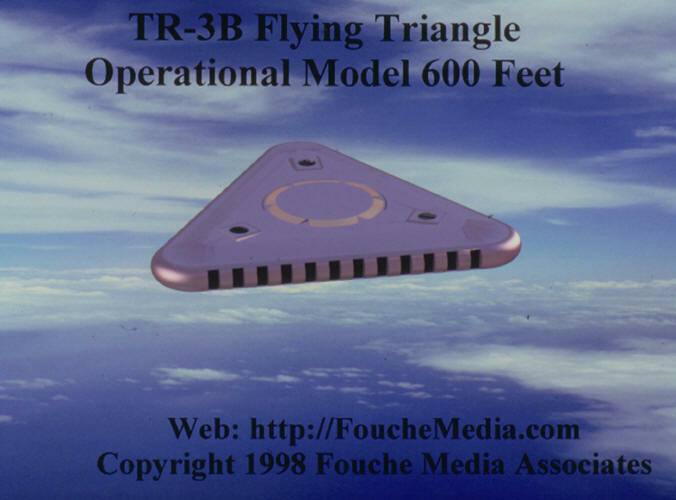 The TR-3B is a high altitude, stealth, reconnaissance platform with an indefinite loiter time. Once you get it up there at speed, it doesn't take much propulsion to maintain altitude. At Groom Lake their have been whispered Rumors of a new element that acts as a catalyst to the plasma. With the vehicle mass reduced by 89%, the craft can travel at Mach 9, vertically or horizontally. My sources say the performance is limited only the stresses that the human pilots can endure. Which is a lot, really, considering along with the 89% reduction in mass, the G forces are also reduced by 89%. The crew of the TR-3B should be able to comfortable take up to 40Gs. The TR-3Bs propulsion is provided by 3 multimode thrusters mounted at each bottom corner of the triangular platform. The TR-3 is a sub-Mach 9 vehicle until it reaches altitudes above l20,000 feet--then God knows how fast it can go! The 3 multimode rocket engines mounted under each corner of the craft use hydrogen or methane and oxygen as a propellent. In a liquid oxygen/hydrogen rocket system, 85% of the propellent mass is oxygen. The nuclear thermal rocket engine uses a hydrogen propellent, augmented with oxygen for additional thrust. The reactor heats the liquid hydrogen and injects liquid oxygen in the supersonic nozzle, so that the hydrogen burns concurrently in the liquid oxygen afterburner. 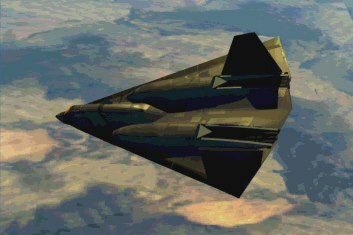 From the evolution of exotic materials, advanced avionics, and newer propulsion engines the stealth aircraft were born. 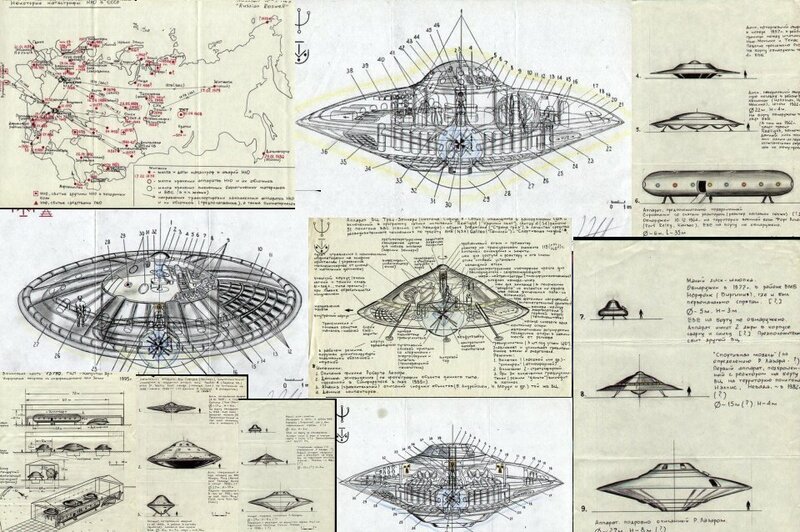 Leaps in technology have been obtained with reverse engineering of Alien Artifacts as described in the newly released MJ-12 Revised Charter, signed during the Regan administration. According to Jerald's account, the technology developed at Papoose far exceeded any known within the world scientific community. Technology that we can assuredly assume was developed, from reverse engineering of recovered alien artifacts.